For those who wonder how to get to Uyuni to start the Salt Flats trips check the information below. 1) By airplane. The suggested airlines are BOA and Amazonas. They both have daily flights to Uyuni from La Paz, and connections from other Bolivian cities via La Paz. As the Uyuni salt flat tours start around 10 am, you can catch a morning flight from La Paz to Uyuni and start the trip the same day if you have a reservation already. 2) Tourist overnight bus La Paz to Uyuni. There are several night buses going from La Paz to Uyuni and from Uyuni to La Paz. The distance between La Paz and Uyuni is 569 KM, and it’s a paved road. Buses La Paz to Uyuni leave every day of the week, every evening. There are no buses going during the day. The drive takes approx. 10 hours. The bus leaves La Paz at 21.00 and arrives in Uyuni around 07.00 the next morning. Bus companies that go to Uyuni from La Paz and vice versa are Todo Turismo, Panasur and Trans Omar. They have a fleet of buses with half-bed (semi-cama) or full-bed (cama) seats. Todo Turismo offers a service that includes a hot meal, English speaking attendant assistance and extra oxygen in case you suffer from altitude sickness. All of our Uyuni salt flats tours get back to Uyuni early enough to catch the bus the same evening. 3) Private transport in a 4WD. The advantage of this option is that you travel during the day so you can enjoy the views, take pics and stop whenever you like (within reason). This option is not that cheap as we have our driver leaving Uyuni 1 day before your transfer to pick you up in La Paz the next day. So where it is a 10 hour drive for you, it’s a 20 hour drive (+ an overnight stay) for the car and driver. 5) Private transport La Paz to Oruro (approx 4 hours) followed by train from Oruro to Uyuni. 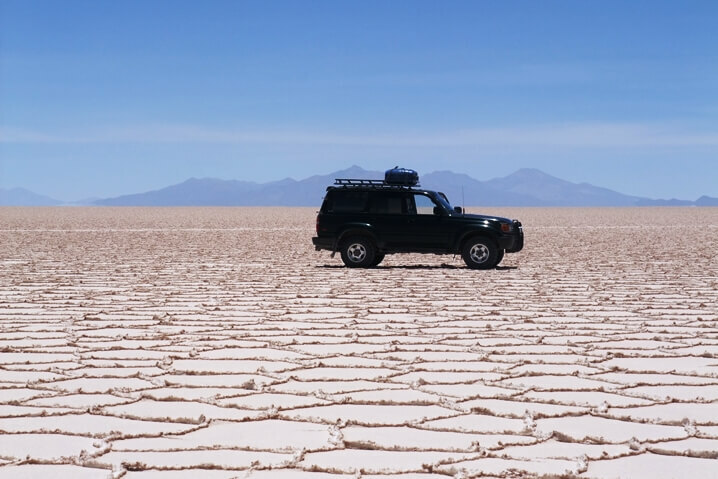 The difference with the previous option is that you travel from La Paz to Uyuni with private transport instead of a public bus which is more comfortable. You will also be dropped off directly at the train station in Oruro. On how to obtain train tickets and to check the train time table please see the previous option. 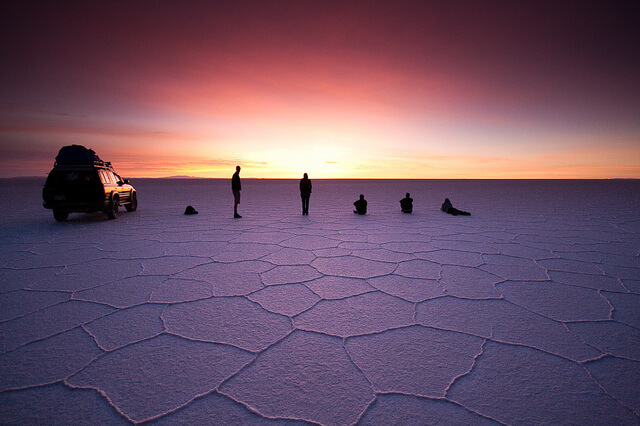 Check our Uyuni salt flats tours. The only bus company offering a direct service between Sucre and Uyuni is Trans 6 de Octubre leaving from Sucre at 6.30 am (Times are subject to change, make sure to double check this at the bus station). All other bus companies require you to change buses in Potosi where you can purchase your onward ticket to Uyuni. Buses leave Sucre at 07.00 and at 08.30 in the morning. They stop in Potosi and then go on to Uyuni where they arrive in the late afternoon. There is also a bus leaving Sucre at 12.30, arriving in Potosi at 15.30. Then leaving Potosi again at 19.00 and arriving in Uyuni around 02.00. The complete bus ride from Sucre takes approximately 6 hours. The company Todo Turismo has plans to run a night bus between Sucre and Uyuni. 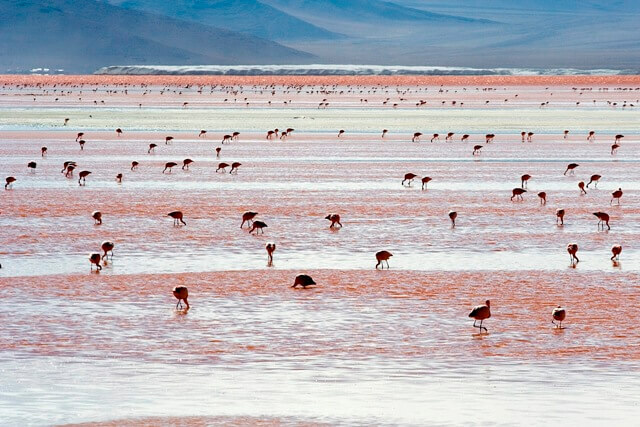 Since September 2017 you can take a direct flight Sucre-Uyuni-Sucre with www.amaszonas.com. No more stops in La Paz. From Uyuni you can also take a bus back to Potosi and/or Sucre. There is a bus leaving Uyuni at 19.00, arriving 4-5 hours later in Potosi. This bus does not go all the way to Sucre. In the morning around 10.00 the bus is leaving from Potosi to Sucre, arriving in Sucre around 19.00. There are also day buses from Uyuni to Potosí leaving daily every 1.5 hours from 7:00 until 19:00. 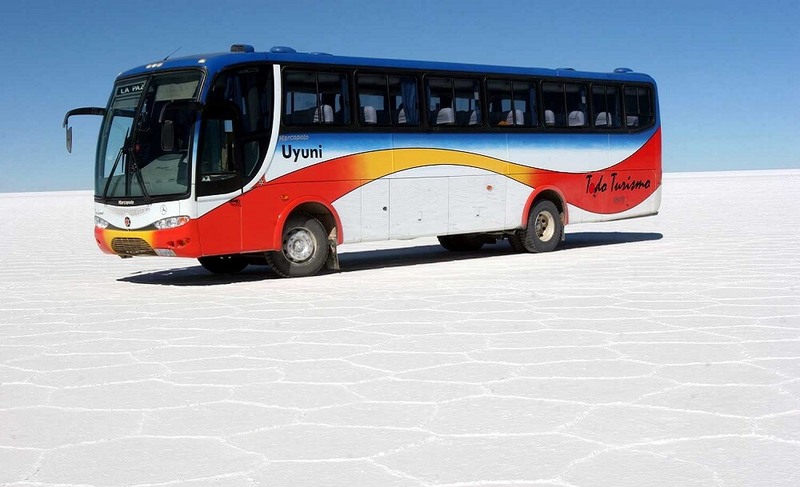 Again the only bus company with a direct service from Uyuni to Sucre is Trans 6 de Octubre. Of course we can also arrange private transport from Sucre/Potosi to Uyuni or vice versa. This option is more expensive, but far more comfortable. The airlines Amaszonas and Boa fly from Santa Cruz to Uyuni via La Paz. Please check their websites (www.amaszonas.com / www.boa.bo) for the itinerary. 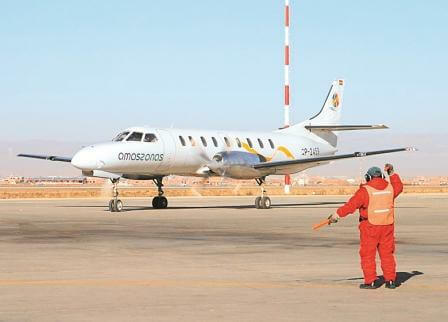 Amaszonas has started operating direct flights Santa Cruz-Uyuni and viceversa in May 2017 (but not every day and only morning flights). Or take a bus or a flight to La Paz and from there on see information above. Or take a bus or a flight to Sucre and from there on see information above. Or take a bus or a flight to Cochabamba. From there you can take a bus to Oruro and afterwards the train or bus to Uyuni. 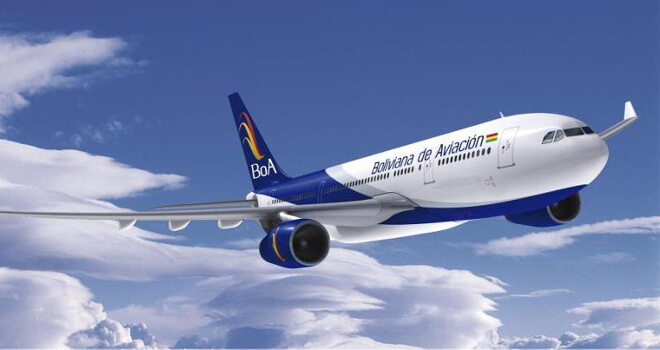 There are flights (twice a week) from Santa Cruz to Potosi with a stop in Cochabamba with BOA airlines. From Potosi it’s approx. 3,5 to 4 hours of driving to Uyuni. The road from Potosi to Uyuni is paved all the way. There are no direct buses from Salta to Uyuni. You will have to take a bus (there are daily buses) from Salta to La Quiaca, border town on the Argentinian side. You can just walk or take a taxi to the border. Don’t forget to check your visa requirements in advance. You may also be required to show your yellow fever vaccination certificate. 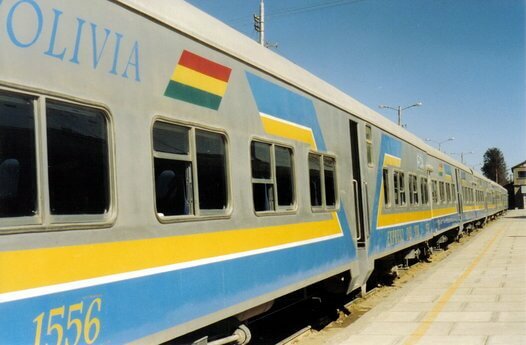 Once in Villazon, on the Bolivian side, you can take the train to Uyuni. Check the train time table on www.fca.com.bo. There are two type of trains to Uyuni: Expreso del Sur y Wara Waradel Sur. You can also buy the tickets online at www.ticketsbolivia.com. If you are planning to visit Tupiza, you can take a bus from Villazón to Tupiza. for information on our Uyuni salt flat tours starting from Tupiza. The information above is subject to change (last updated in March 2019). Follow us on Twitter for the latest news. Don’t expect much comfort of a normal public bus. Buses are often completely full, where people even sit in the isles with their luggage. Such is not the case with the more comfortable tourist bus between La Paz and Uyuni (Companies: Todo Turismo, Panasur or Trans Omar). Although the Uyuni salt flats are incredibly beautiful all year round, we recommend you to decide which time of the year you want to visit Uyuni, before booking a tour. The best time to visit the Salar de Uyuni really depends on what you want to see, as each season offers a different scenery. 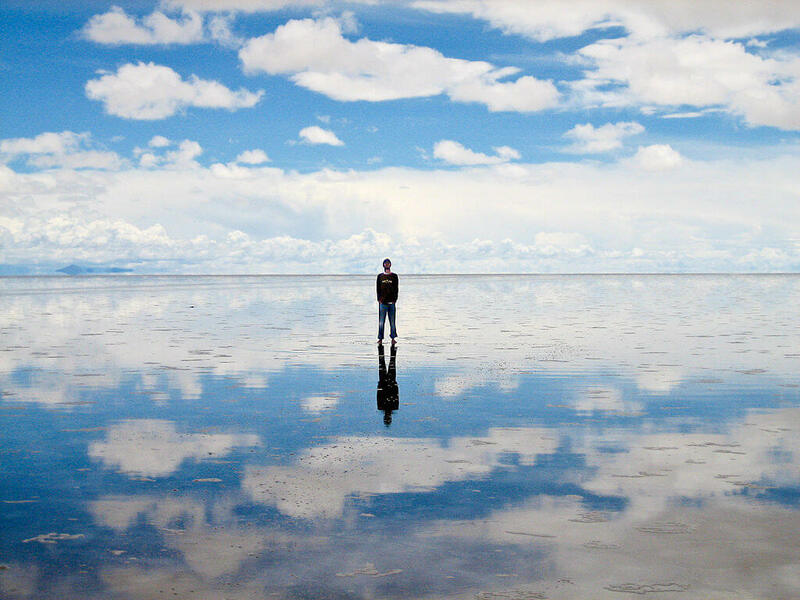 Check the weather forecast for Uyuni and our page about the weather in Uyuni and the best time to visit the salt flats. for more information. Happy travels!